Gypo makes a fateful (and fatal) decision. You can read more about this year in film here. The Best Picture race is discussed here, with reviews of all the nominees. First there are the categories, followed by all the films with their nominations, then the Globes, where I split the major awards by Drama and Comedy, followed by a few lists at the very end. If there’s a film you expected to see and didn’t, check the very bottom – it might be eligible in a different year. Films in red won the Oscar in that category. Films in blue were nominated. But remember, there’s still only nine categories at this point. Analysis: For the fifth straight year a Horror film makes my Top 5. It won’t happen again until the 60’s The #6 film is Captain Blood, which would have been the #4 film the year before. For that matter, my #7 film, The Man Who Knew Too Much also would have been #4 the year before. Analysis: Lloyd was really directing above his talent level in this film (ironic, since he won two previous Oscars he didn’t remotely deserve, but didn’t win here). 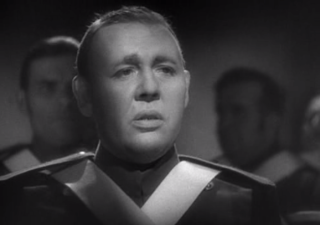 These are the first Nighthawk nominations for Ford, Hitchcock and Curtiz. All three have numerous nominations (and at least one win) ahead of them. This is Whale’s last of three Nighthawk nominations. Analysis: Well, it’s better than the year before, which only had one nominee. And to be fair, I haven’t seen The Scoundrel, which won Best Story, because it is extremely difficult to find. But they key thing here is that the six best films of the year were all adapted. Analysis: Gable comes in 3rd in back-to-back years while Howard and March switch places from the year before. But the big deal is Laughton, who, in one stroke, moves into 1st place all-time in acting points after just three years. He wins both Best Actor and Best Supporting Actor and comes in second in Best Actor – Comedy, making this one of the most impressive years in any actor’s career. With his Supporting win down below that gives him three Nighthawk Awards out of five nominations in just three years. 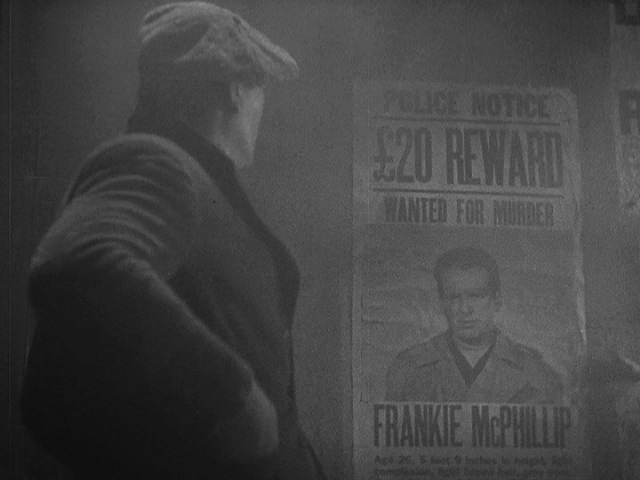 This is also the only category in which I take away one of The Informer’s Oscars – McLaglen did give a career-best performance, but against this group, it’s just not good enough. Analysis: Yet, McLaglen would win Best Actress. It’s that big of a difference between the two categories. 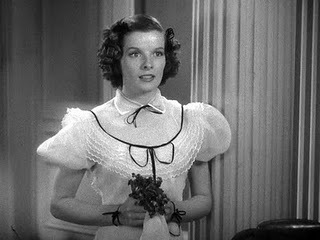 In 1938, Hepburn will give a much better performance than this (in Bringing Up Baby) and come in second. I talk a bit more about the weakness in between the two lead groups down in Comedy. Analysis: Laughton wins the award in back-to-back years. Massey is quite good in the villain role. Beery and Fields give very restrained performances. 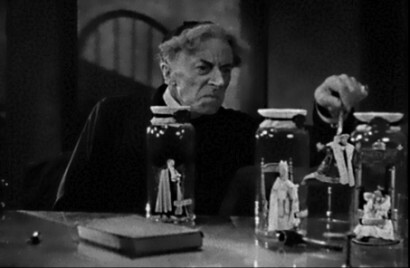 Thesiger plays the demonic Dr. Pretorius, he of the “gods and monsters” quote. Overall, not a particularly strong group. Analysis: And yet, this is worse than Supporting Actor. O’Connor wins for what is by far the most restrained performance of her career (I’m so used to her screaming). 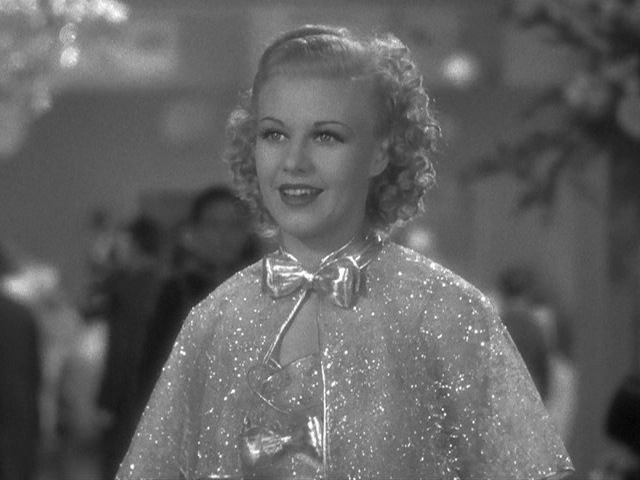 Lanchester isn’t in Bride much, but she is good in two very different roles. Ashcroft is in Steps even less, but her quiet performance is quite memorable. Analysis: It’s the second year of the category and they do much better. My #3-5 were all nominated as was my #6 (Les Mis). 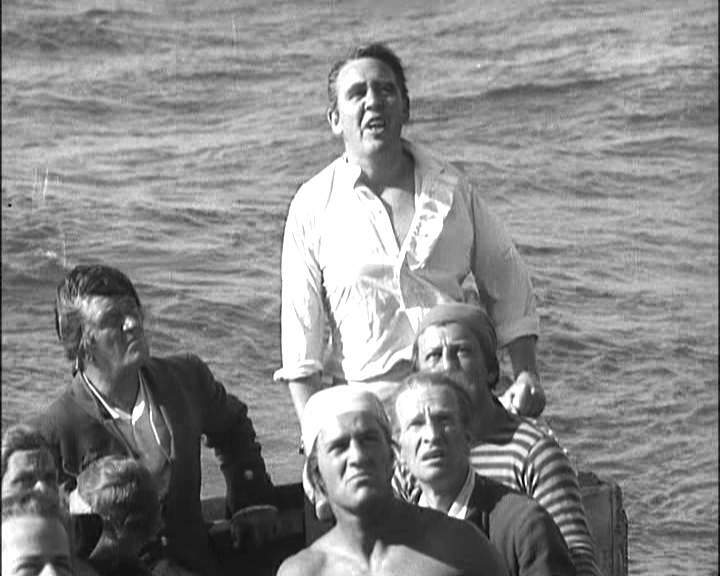 But Steps is really where Hitchcock comes into his own as a filmmaker and the editing style is a distinct part of that. Analysis: Of these, only Les Mis was nominated. But hey, A Midsummer Night’s Dream wasn’t nominated and it won the Oscar, the only write-in to ever do so (it comes in 7th for me). 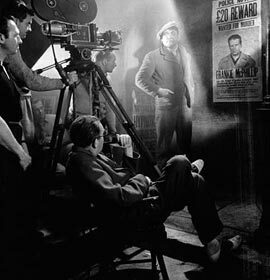 Les Mis marks the first Oscar nomination and first Nighthawk nomination for Gregg Toland, whose camerawork on Citizen Kane will make him the subject of much admiration and retrospection. Analysis: It’s Max Steiner for the win, both from me and from the Academy. It’s a close one though, over Erich Wolfgang Korngold’s stirring score for Captain Blood. Almost close enough for me to call it a tie. Bride is the first nomination for Franz Waxman. There will be several more. Analysis: Best Sound Recording is still a longer category, with nine nominees. 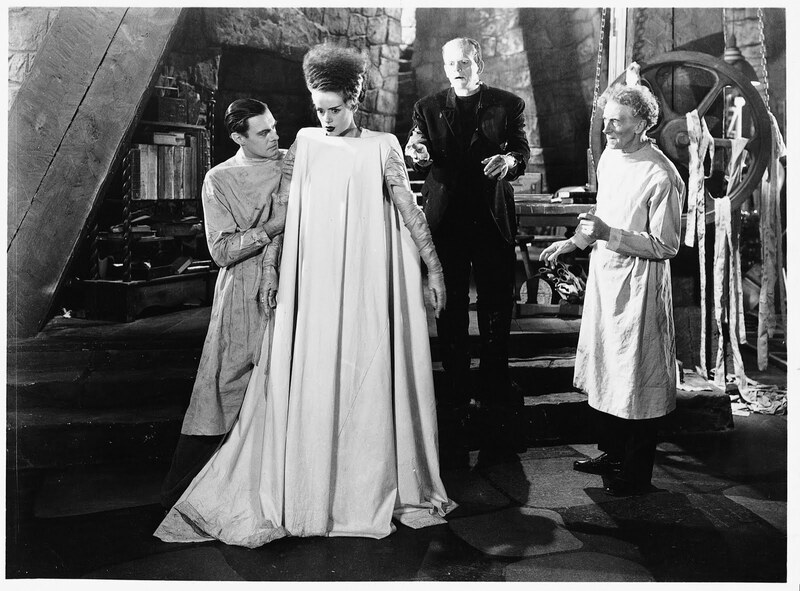 And they acquit themselves by offering the only nomination for Bride of Frankenstein, indeed the first nomination for any Universal Horror film. But they pass over it and Captain Blood for Naughty Marietta. Analysis: The three nominees were The Dark Angel (winner), The Lives of a Bengal Lancer and Top Hat. They just ignored all the amazing work on my top 5. Oh, and Scarlet Pimpernel and David Copperfield. Analysis: Three of these songs were nominated (Cheek, Lullaby, Lovely). The other two were listed in Inside Oscar as eligible. They gave the Oscar to Lullaby, which isn’t a bad choice, but it’s not “Cheek to Cheek”. Analysis: The year before didn’t have a single **** in the bunch. This year doesn’t even have a ***.5. There are only nine films I’ve seen that are eligible and they’re okay – none of them are bad. It’s just that none of them are good enough. Analysis: If Liliom had been a 1935 film originally, it would win Best Foreign Film. It’s a low-level ***.5 film but it is at least a ***.5 film. It’s the one film Fritz Lang made in France between fleeing Germany and coming to the States. It’s enjoyable, with a good Charles Boyer, and better than the 1930 Frank Borzage version (and, in my opinion, better than Carousel). Analysis: I reviewed Naughty Marietta here. I liked it slightly better the second time around. Or I gave it more of a break. Or I didn’t scream while watching it. Analysis: Blood manages to get in because I classify Bride as a Comedy. That will also benefit Frank Boleslawski in Best Director. Analysis: A second straight second place finish for March. Unlike the year before, where the top 2 actors were in the Comedy category, here the entire category comes from Drama films. Analysis: A second straight 4th place finish for Garbo here. Analysis: Rathbone is devilishly delightful as the French pirate. He actually affects a French accent, which is more than Massey does, but Massey is good enough it’s doesn’t matter. Watson, of course, is the memorable Mr. Memory. By Film: Oberon and de Havilland are barely squeaking in here with performances that rely more on them being beautiful than anything else. Frances Drake is somewhat of the same, but has the nice hysterical scene as Eponine, and she apparently wears high heels to the revolution. Analysis: Again, Liliom is very good, but not good enough to break the hold the top films have on this category. Hell, The Man Who Knew Too Much, which is a great film, only managed to get in because it wasn’t adapted. Analysis: Bride easily wins the category. I do think it’s a comedy, and if you don’t, then watch Gods and Monsters. Analysis: Whale wins this one by a mile. Analysis: Not a particularly strong group. 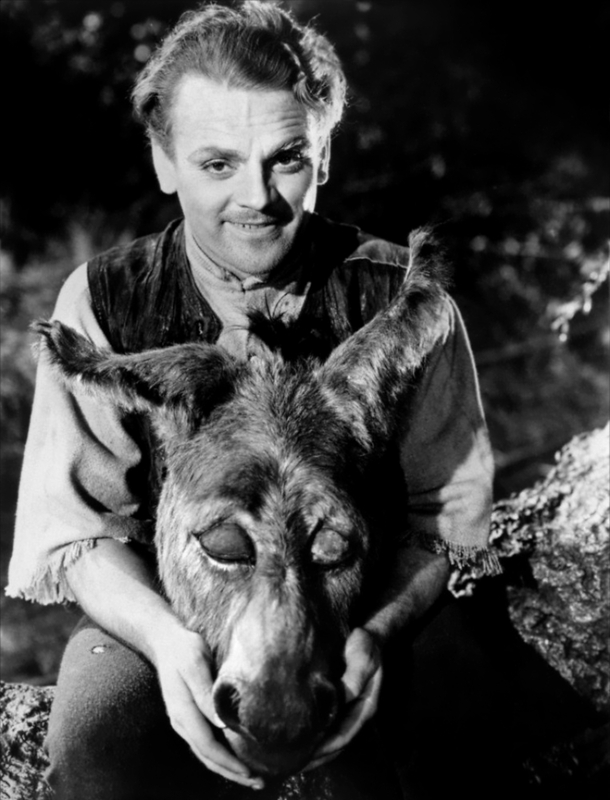 But Cagney is enjoyable. Laughton just misses winning yet another award with his tremendous work for the year. Analysis: This shows the difference in quality between leads – I rate Astaire and Rogers the same but Astaire comes in 4th while Rogers wins. Lombard is very charming in a lesser known screwball comedy. Analysis: Horton isn’t quite as good as he was in Divorcee. Ruggles is the hick who buys the butler Ruggles, which is just confusing. Analysis: The Gay Deception is a good film, made before William Wyler started getting Oscar nominations every year and it was actually nominated for Best Original Story, but it just isn’t good enough to make it on my list anywhere. Analysis: The 65.6 is the highest since 1929-30. There are just a lot more higher end *** films than the previous few years. Best Picture: Again the Academy nominates 12 films, but they choose a much better group than they did in 1934. There are two films that fall below #392 – Naughty Marietta and Broadway Melody of 1936. Compare that to 1934 when 9 of the 12 nominees were below #392. That’s why this year finishes in 68th place and 1934 finished in 83rd (third to last). What keeps it from being higher is the lack of the top-level films. There are four films nominated that place in the Top 200, but none in the Top 150. The Winners: When I rank the winners of all the Oscar categories, I do a few things. One of the things I do is give an average based on where I have the winners ranked in each category, and then I do it again without Best Picture. That’s because I rank every film for Picture and when a really bad film wins (like Cimarron) it brings down the overall score quite a bit. In this case, the score goes slightly up, from 4.75 to 4.91 because Mutiny is the 3rd best film of the year. Both scores rank in the middle to the lower end of all the Oscar years. Both scores are just a little worse than the year before but much better than all the years from 29-33. It’s win average among the nominees is 2.08, which would look better until you realize that 6 of the categories had only 3 nominees and two others only had 4. But in three categories (Director, Screenplay, Score), they picked my #1 choice – the first year to get more than 2 since 27-28 and its the first time I’ve agreed with either of their writing choices. Not all Universal Horror films in this era were great. Yes, this was the Golden Age of Horror. But not everything had that touch of gold. 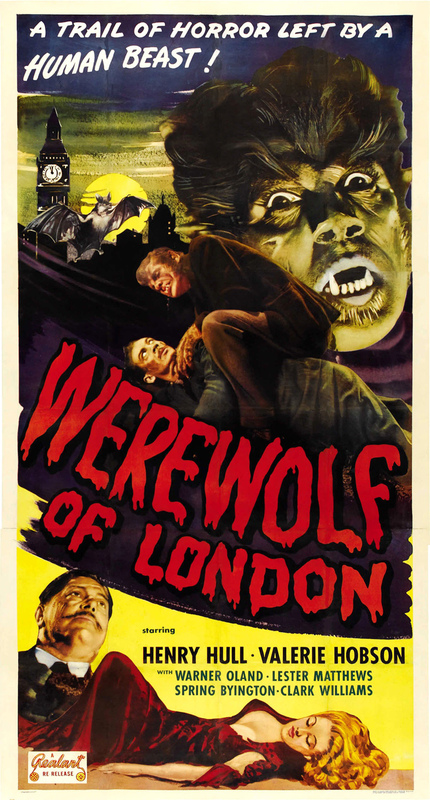 Universal had already tackled vampires (brilliantly), monsters (brilliantly), an invisible man (brilliantly), a mummy (very good) while Paramount had done Jekyll and Hyde. So what next? Well, werewolves of course. But, let’s do it on the cheap, even for us. So, instead of Franz Waxman or Heinz Roemheld doing the score, the film begins with an uninspired bit of music from Karl Hejos that doesn’t even seem right for a Horror film. And rather than get John J. Mescall or Arthur Edeson or Karl Freund to photograph it, they went with Charles J. Stumar. Instead of James Whale or Tod Browning or Freud directing it, it’s Stuart Walker. And there’s not a sign of Karloff or Lugosi. Not even Una O’Connor. Instead it’s Henry Hull and Warner Oland. Let’s just say this – when you look at classic Universal monsters, you see Dracula, Frankenstein’s monster, the Invisible Man, the Mummy and you see the Wolf Man. But you don’t see Henry Hull in that makeup. You’re looking at Lon Chaney, Jr, from the 1941 film. That film isn’t nearly as good as the great films that Universal was producing between 1931 and 1935, but it’s a hell of a lot better than anything you get here. And Chaney may have often looked pained (it was his best look), but at least he shows some kind of emotion. Yes, it does have Spring Byington, but not exactly at her best. And part of the problem is with the story. With a wolf man dressed up for a night on the town, with makeup that continually gets more beast like as his transformations go on, we have too much of an attempt to make an unauthorized Jekyll. But that puts some of the onus on the wolfman himself. Universal would improve that considerably in 1941 when it becomes much more about a family curse and a tragic legacy than a simple scientist who went too far into the wild (literally and metaphorically). Just skip this version and watch the 1941 film. After all, it does have Lugosi in it. Claude Rains too. Worst Film Nominated for a Nighthawk Comedy Award: Ah, Wilderness! Analysis: There were actually two films that had four 2nd place finishes but the categories for 39 Steps had a bigger point total. The other two are Les Misérables (Adapted Screenplay, Actor, Art Direction, Costume Design) and Bride of Frankenstein (Supporting Actress, Editing, Sound, Sound Editing). There were actually three other films that had two 6th place finishes, but the same applies here. Those films were Les Misérables (Director, Editing), The 39 Steps (Actor, Original Score) and The Scarlet Pimpernel (Supporting Actress, Art Direction). Analysis: This is the first year that has at least film in all 15 genre categories. The overall average for the year goes up. This is surprising given that Foreign goes way down (below 70 for the first time), Comedy goes down and Musicals barely go up. While Drama goes up to 64.3 (from 61.7), it also accounts for only 39% of the films – the first time that less than half the films have been primarily considered Dramas (by me). But there is a big increase in Adventure films and they do quite well. We also get our first Shakespeare film since Taming of the Shrew and the first good one since 1922’s Othello. This time the studios are more spread out. For the third time in four years I’ve seen more Warners films than anything else, but those 16 films are only 17% of the total. And while MGM and Paramount each have 12, that still only totals 41%. The other two majors (Fox and RKO) account for another 20%, with United Artists getting 10% and the two major-minors, Columbia and Universal, having another 10%. There’s not a big range in quality, with Fox the lowest (61.9) and United Artists the highest (67.7). Note: As you may notice, there are no red or blue films. The best of the bunch is The New Gulliver, which is a high level *** but not good enough to be nominated; it’s ironic because it would have been the first year in which the winner wasn’t from France or Germany – in 1936 it will be back to France again for the win. The Koster film is the earliest Hungarian film I’ve seen, which I saw because he is an Oscar-nominated director (after he came to the States). note: A Tale of Two Cities is one of those films that exemplifies why I go with Oscar eligibility for my years. In 1935 it wouldn’t make my Best Picture lineup (it would come in 8th). But, it was actually nominated for Best Picture in 1936, having been released at the end of the year, apparently not in time for the 1935 awards. So, it should be counted in the year where it was actually nominated, and it makes my Best Picture lineup in 1936, which is a much weaker year. You know, I counted Carroll as a lead, and there is a case to be made that she’s supporting. But she came in 8th overall, 6th in Drama and I just didn’t think to mention that.